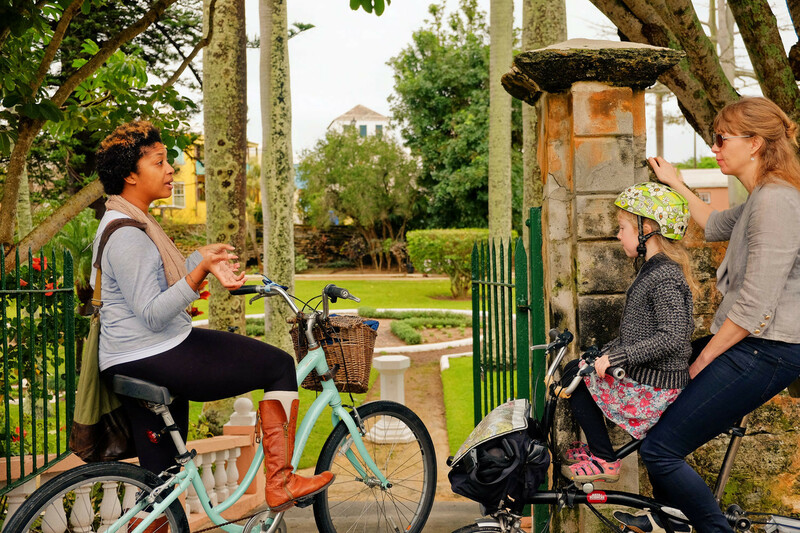 Read about Kristin White, route curator and Bermudian celebrity, by clicking on her picture. 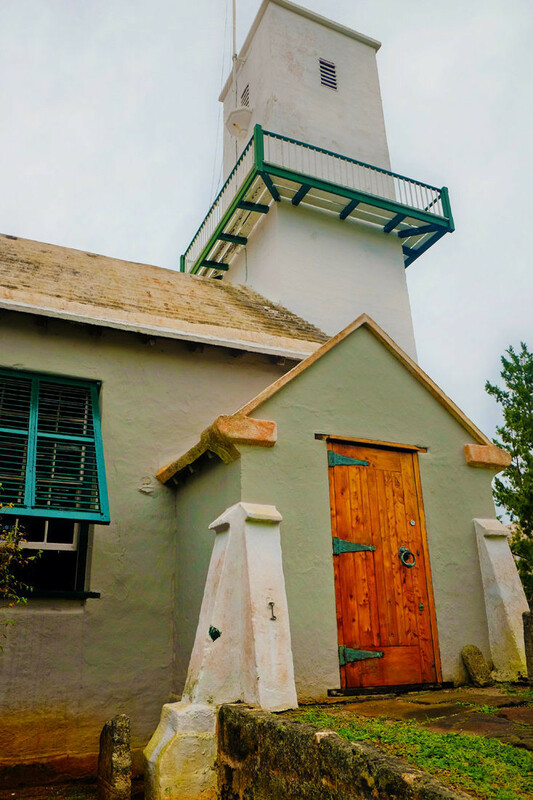 St. George's is the easternmost parish in Bermuda, and includes a few distinct areas. 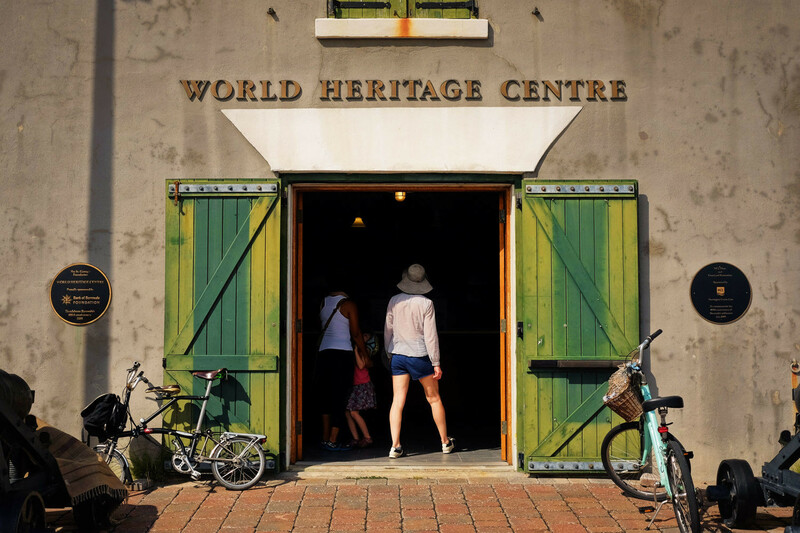 St. David's is a unique residential and commercial region, that includes the former base lands, a museum, a lighthouse, a military battery, and a nature reserve boasting some of the most beautiful beaches in Bermuda. 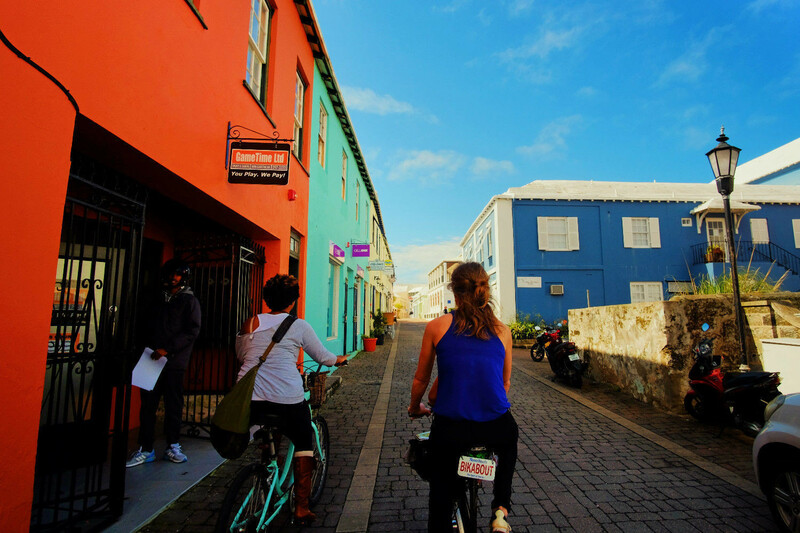 The Town of St. George is the primary shopping and dining area of the parish, with cool boutiques selling locally made goods, including the Bermuda Perfumery! 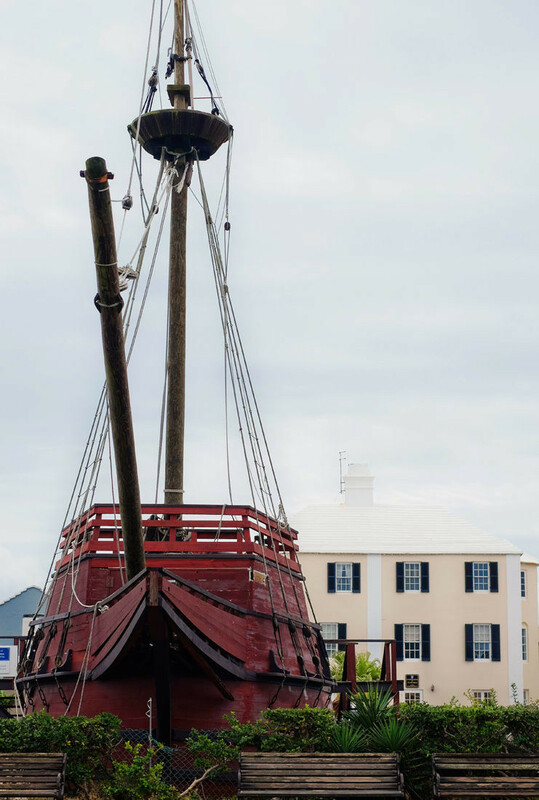 The Town of St. George is the oldest continuously inhabited town in the New World, established in 1612, and is a UNESCO World Heritage Site, so there are also many museums, historic homes and churches. Exploring the cobble stoned streets and lush gardens is a must! Just outside the town, you can explore the St. George's coastline, dotted with beaches, coves, forts and farmland. Along the way, stop off to take a swim, peek inside a cannon, or discover an old military cemetery. WHAT TO BRING? Water bottle to refill, cash for food stops, towel and swimsuit for the beach! Click map image to open printable map. 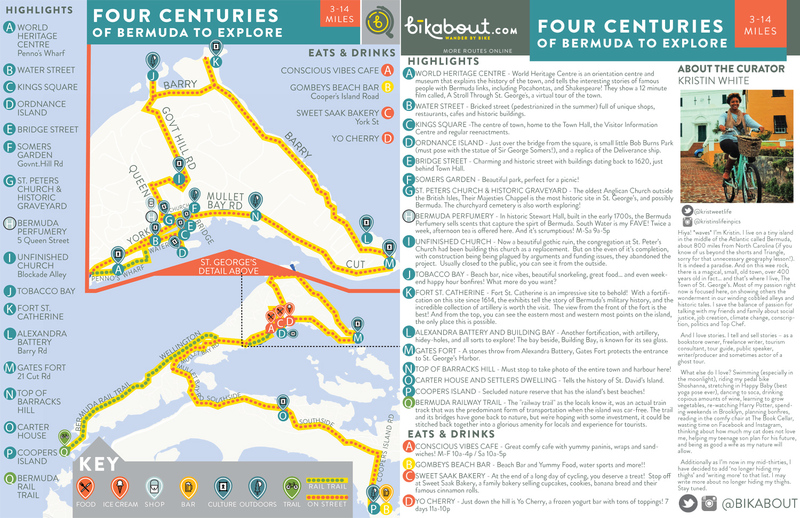 Click "Bikabout Bermuda: Four Centuries of Bermuda to Explore"
When you find "Four Centuries...", click 3 dots and select, "Ride This"
World Heritage Centre is an orientation centre and museum that explains the history of the town, and tells the interesting stories of famous people with Bermuda links, including Pocahontas, and Shakespeare! 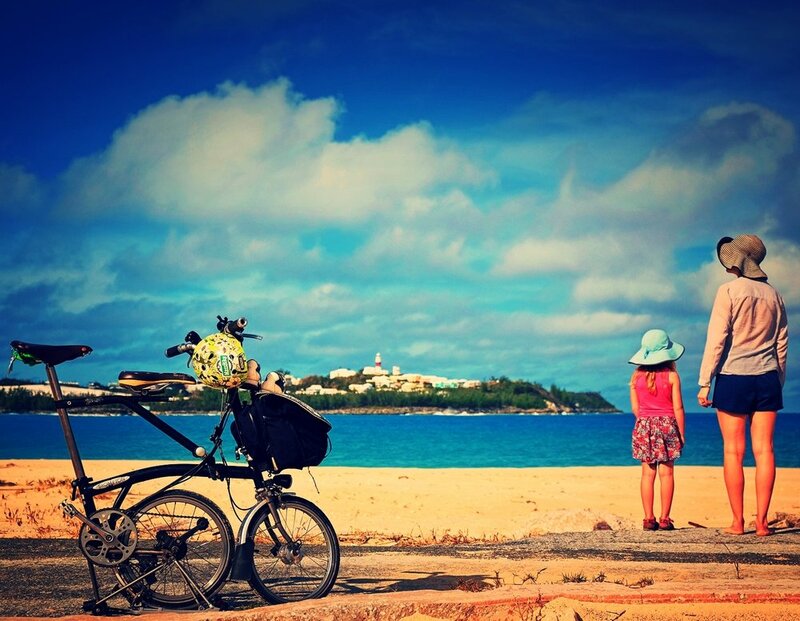 They show a 12 minute film called, A Stroll Through St. George's, a virtual tour of the town. WHC sells water and other snacks that we can grab before we start our tour! Bricked street (pedestrianized in the summer) full of unique shops, restaurants, cafes and historic buildings. The centre of town, home to the Town Hall, the Visitor Information Centre and regular reenactments. Just over the bridge from the square, is small little Bob Burns Park (must pose with the statue of Sir George Somers! ), and a replica of the Deliverance ship. Charming and historic street with buildings dating back to 1620, just behind Town Hall. Beautiful park, perfect for a picnic! 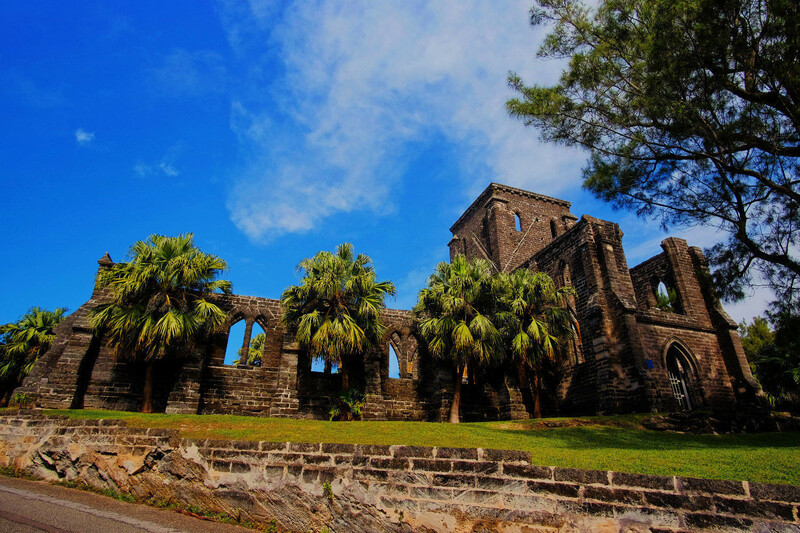 The oldest Anglican Church outside the British Isles, Their Majesties Chappel is the most historic site in St. George’s, and possibly Bermuda. The churchyard cemetery is also worth exploring! Now a beautiful gothic ruin, the congregation at St. Peter’s Church had been building this church as a replacement. But on the even of it’s completion, with construction being being plagued by arguments and funding issues, they abandoned the project. Usually closed to the public, you can see it from the outside. Beach bar, nice vibes, beautiful snorkeling, great food… and even weekend happy hour bonfires! What more do you want? 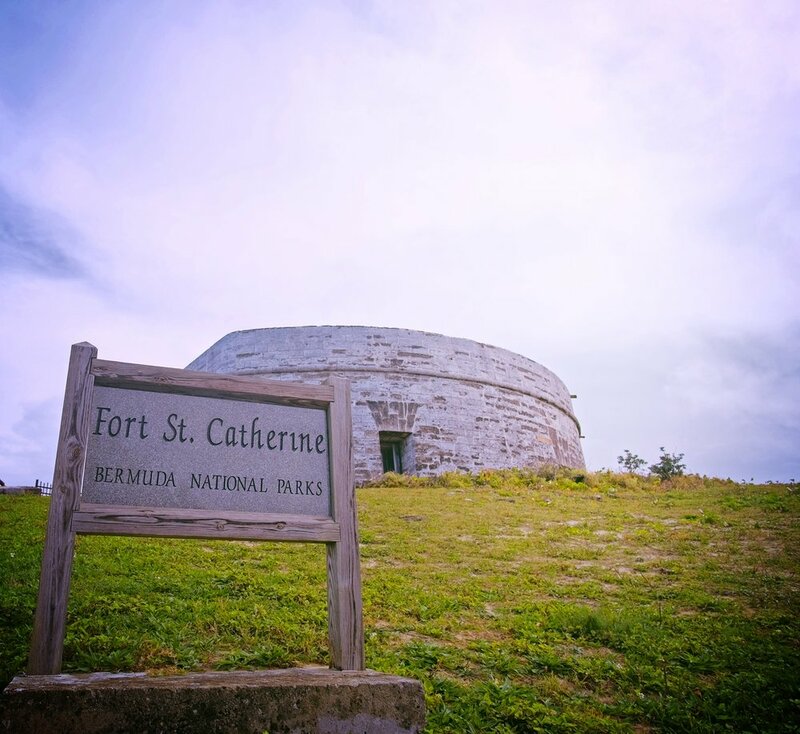 Fort St. Catherine is an impressive site to behold! 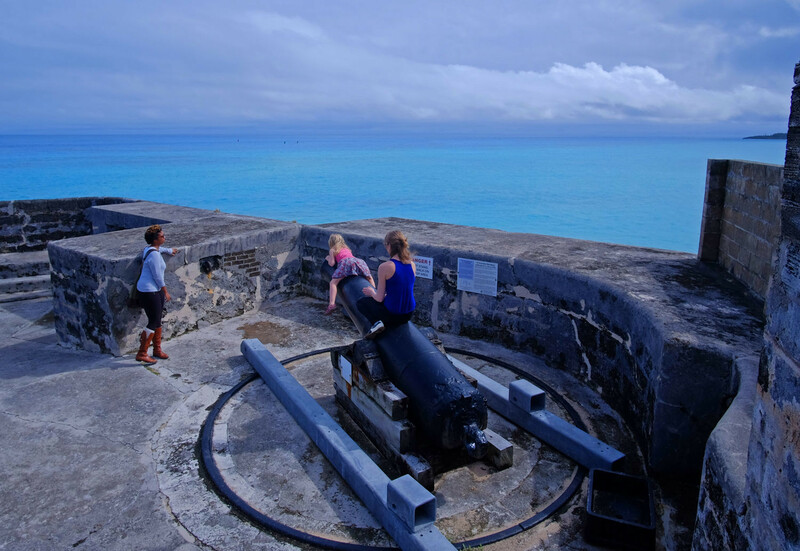 With a fortification on this site since 1614, the exhibits tell the story of Bermuda’s military history, and the incredible collection of artillery is worth the visit. The view from the front of the fort is the best! And from the top, you can see the eastern most and western most points on the island, the only place this is possible. Another fortification, with artillery, hidey-holes, and all sorts to explore! The bay beside, Building Bay, is known for its sea glass. A stones throw from Alexandra Battery, Gates Fort protects the entrance to St. George’s Harbor. Must stop to take photo of the entire town and harbour here! Secluded nature reserve that has the island’s best beaches! 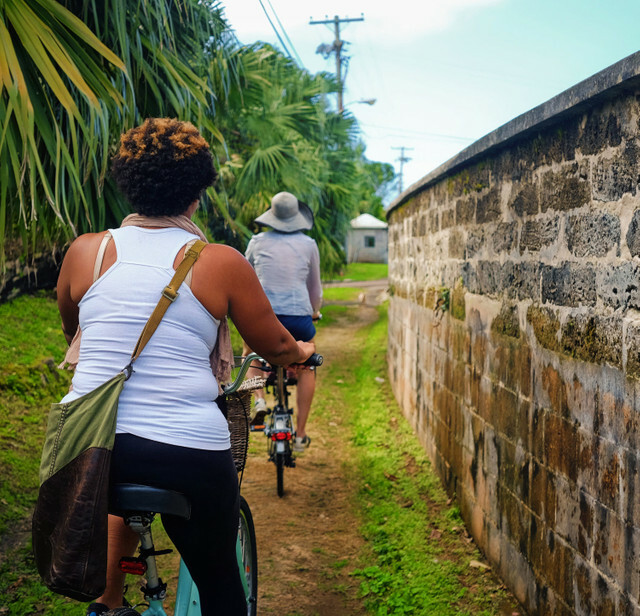 The "railway trail" as the locals know it, was an actual train track that was the predominant form of transportation when the island was car-free. The trail and its bridges have gone back to nature, but we're hoping with some investment, it could be stitched back together into a glorious amenity for locals and experience for tourists. Yo Cherry frozen yogurt and sorbet is the best thing after a bike ride. Beach Bar and Yummy Food, water sports and more!! At the end of a long day of cycling, you deserve a treat! 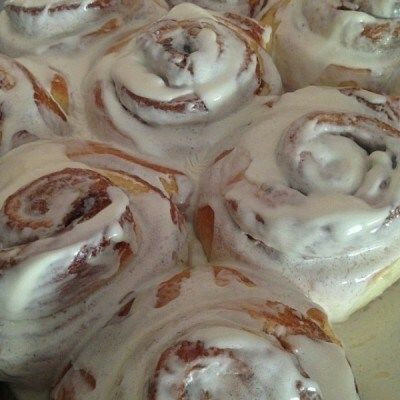 Stop off at Sweet Saak Bakery, a family bakery selling cupcakes, cookies, banana bread and their famous cinnamon rolls.